Here are things I love: online shopping + cute clothes that are comfy to wear + supporting friends with small businesses. This is why when my friend Melissa told me she was opening an online boutique, I became one of her earliest customers, and why I wanted to tell YOU about her adorable line of clothes and the story behind them. 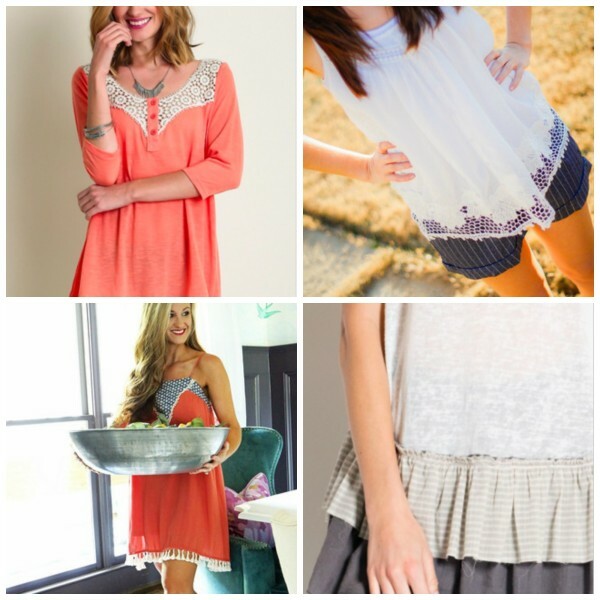 But first… check out some of her LOVELY clothes at Simply Bliss! 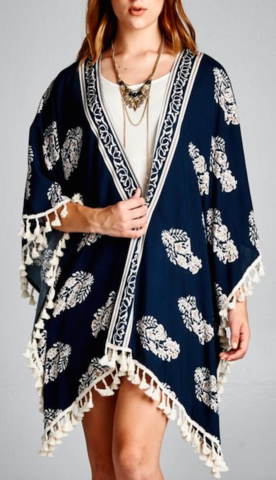 I own this amazing kimono – it’s funky and also super comfy. It’s kind of like wearing your bathrobe and people telling you that you look awesome. And then there’s this gorgeous top/dress. Right now, I’m pairing it with skinny jeans, but it’s long enough for me to wear as a dress this summer (I’m 5’5″ and it hits about two inches above the knee and is slightly longer in the back to hide my hiney). It’s a tiny bit low-cut, so I wear the white tank under it so my “girls” stay far from view. When I wear it, little Wrenn swoons. She tells me I look like a princess (which is kind of how I feel, to be honest). It’s one of those outfits you put on and want to twirl in. Even if you’re a grown-up. 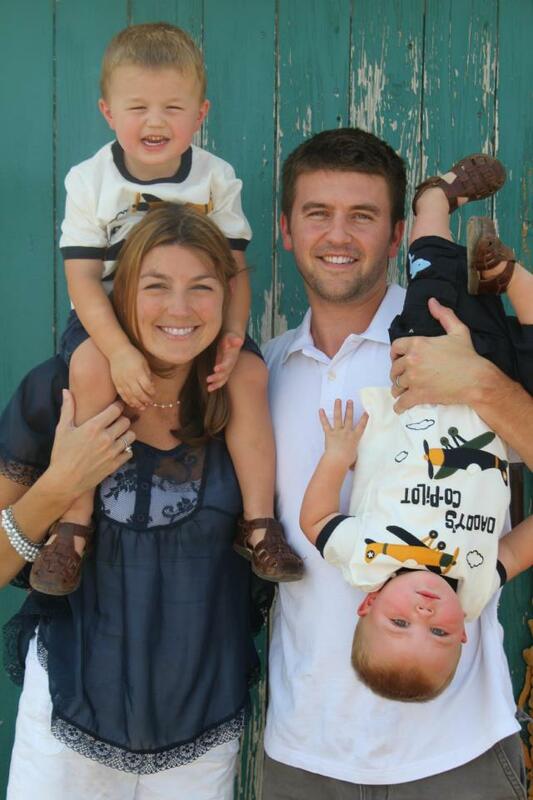 Here’s a little Q&A with Melissa Hernandez, owner of Simply Bliss Boutique. Get ready to love her as much as I do. Hi Melissa! Tell us about yourself. Well, I have been an educator for 15 years now. I taught second and fifth grade for nine years, and for the past six years I have served as an Elementary Assistant Principal. I am married to a wonderful man who is supportive of all my crazy ideas, and we have two beautiful daughters, ages six and seven. We are joyfully expecting a son in April and can’t wait to see what else God has in store for our family! What made you decide to open Simply Bliss? I have always loved fashion, but the real driving force behind this was my desire to set a Godly example for my girls in what they wear. I find that there are a lot of young ladies these days who are trying to get noticed by wearing skimpy clothing, or having less modest clothing choices than I think is appropriate. I want to change that. I want my daughters to see that you can be cute, trendy, and modest at the same time. So I prayed about it for a long time, had the full support of my husband, and last summer God gave me the go-ahead to start this journey! 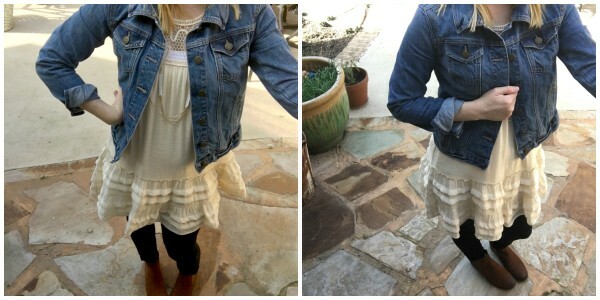 I love the story behind the clothing you choose – can you share it with my readers? Sure! My mission for the company is Proverbs 31:25: “She is clothed in strength in dignity…” Every piece of clothing that is even considered to be in the boutique is something that I would feel comfortable wearing, or having my daughters wear. If I wouldn’t dress my own daughter in it, I won’t buy it. And of course, we are always looking for what’s on trend! What big fashion trends are coming for Spring that we can get excited about? We are seeing lots of tie dye and ombre, which we love! Fringe is also something that we started seeing pop up last summer, and it looks like it’s here to stay! Flowy tunics are very in right now. It’s such a classy look that’s easy to pull off with a pair of leggings. I would say these flowy tunics are our favorite looks for this Spring and Summer! What’s your advice to other women who have a dream to open a business or do something BIG, but haven’t yet made that brave first step to pursue it? My biggest advice is to pray about it, but get ready to take that first step when you get the green light!! It is scary, but definitely worth it. In 10 years it’s easy to think, “Oh, if only I had taken that leap of faith, I wonder where I would be now…” I’m excited that in 10 years I won’t be regretting a decision I didn’t make! Surround yourself with people who will encourage you and pray for you, and then just go for it! Now y’all know why I love Melissa, don’t you? Let me also add that Melissa is one of those women who LOVES other women. She is the founder of my beloved supper club, and I watch her cheer other women (including me!) on as they pursue their God-given dreams. She’s just… well, she’s the best. I love getting to watch her pursue her dreams AND bless women at the same time! It’s fun to support women like Melissa. Melissa has offered a discount off my new favorite dress/tunic just for my Texas Lovely readers! 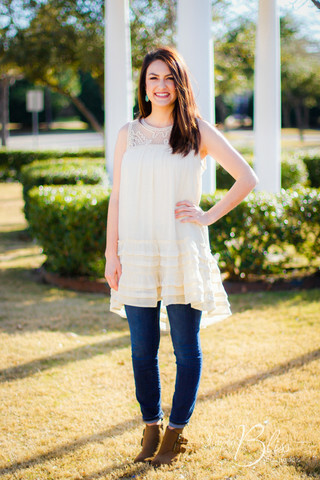 Just use the code TEXASLOVELY at checkout for 15% off the Tiered Tank Tunic in Ivory. And get ready for your new favorite top. 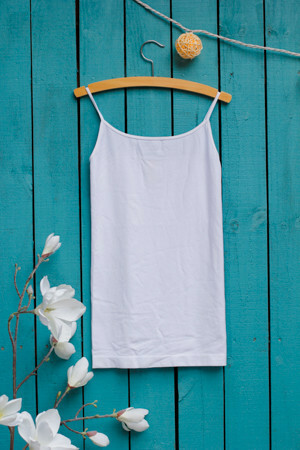 Disclaimer: Simply Bliss gave me the Tiered Tank Tunic in Ivory for free in exchange for a review. The other 82 things I have from them (I may be exaggerating only slightly) I purchased with my own money. All opinions are my own. 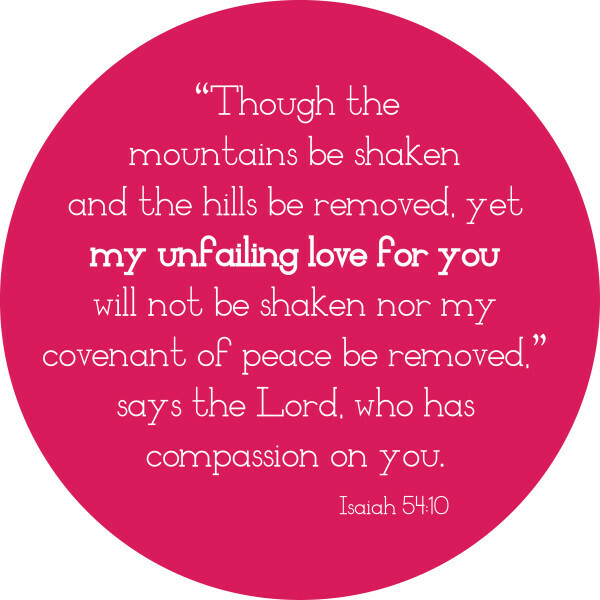 Praise the Lord for a God who loves us with an unshakable love, whose peace can never be taken away, who shows compassion on me. His mercies are new every morning, aren’t they? 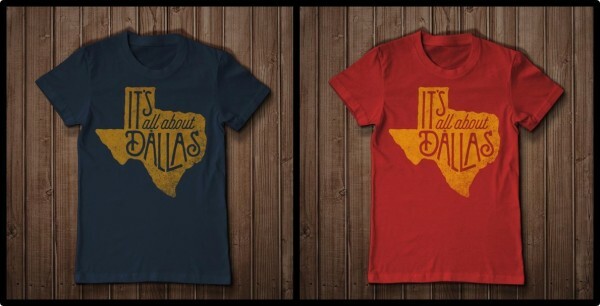 Thanks to everyone who entered the contest for the Adopting Dallas t-shirt. 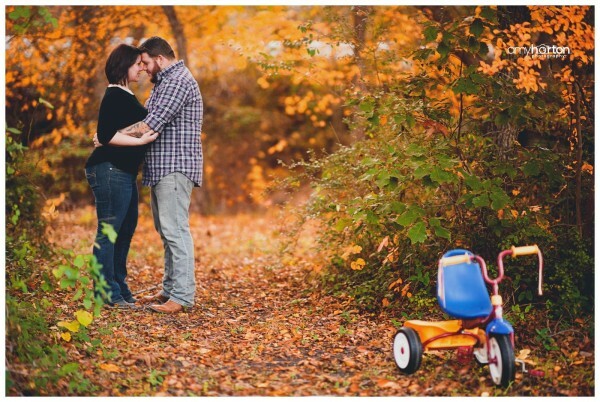 So much has happened since I wrote that post – they are suddenly six weeks away from having a baby boy! Can you believe it?! Not only that but they raised about $5,000 in just one week, and you, dear friends, were a part of it. There’s still time to order a shirt, but the deadline is February 9. And now for the winner of the free shirt! Congrats to Diana, who’s a new mom herself. Watch your mailbox for a special delivery! Mr. Right and I have been open about our intentions to adopt a baby at some point. Because of this, I’m fascinated by learning about other peoples’ adoption stories and love to cheer them on, whether in person or online. Adoption is such a beautiful thing and such a perfect picture of what God did for us – adopted us as sons and daughters and heirs. I came across Bethany’s story on Facebook. A friend from high school shared a pic of the shirts they were selling to raise money to help pay for the adoption (which will cost them $30,000), and I totally dug the shirts. Like, I bought one just because it was so cool. 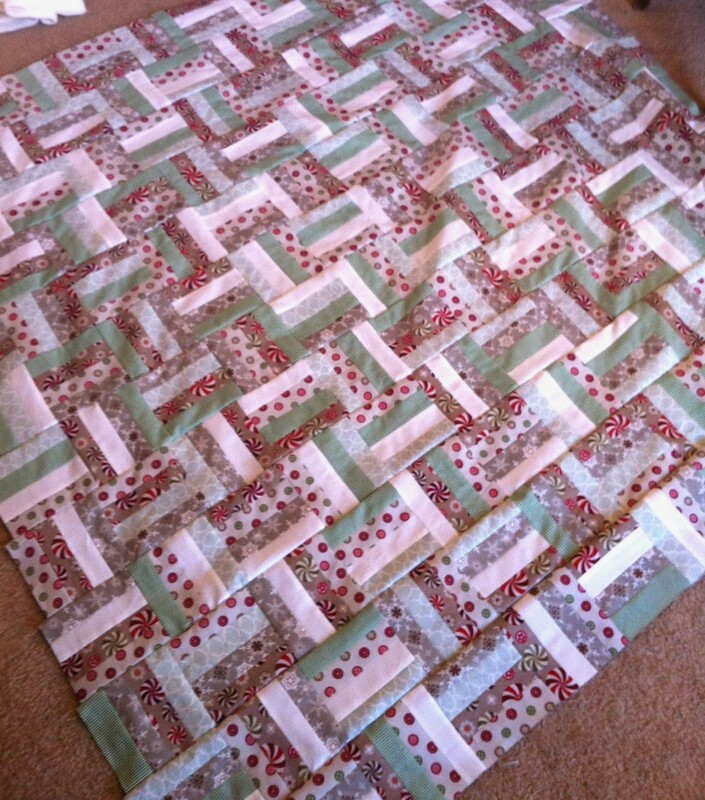 And then I checked out Bethany’s blog and had a eureka moment. I want to be part of their story. I want to help them provide a home for Baby Dallas! So here’s the Cliffs Notes version. You can read more about it on their blog, Life is Good. PS – They found out THIS WEEK that they’ve been matched with a birth mother and MAY have a baby in March! Which means we’ve got to get crackin’! Chris and I have been married for 7 ½ years and we have had our first baby’s name picked out for over 9 years. Boy or girl, the baby will be named Dallas. Chris and I have always wanted to be adoptive parents whether we conceived or not, and due to different fertility issues that I face, we decided to start the adoption process in October of 2013. The adoption process is not an easy road, and it requires a lot of resources, so we are asking for your help! We’ve never felt an overwhelming peace like this about any decision before. We know that God’s got a awesome plan for us! We believe God already has our baby picked out; we just haven’t met him or her yet! We would GREATLY appreciate your prayers and support! So, dear friends, this is where you come in. They are selling AWESOME t-shirts for just $20 over here. I’ve already bought one, and I’m going to buy another to give away to one of my readers. All you have to do is leave a comment with your name, t-shirt size, and an encouraging word for Bethany as she and her husband travel on this (long) journey toward adoption. And even better… you can be part of their story by simply buying a shirt. How cool, to help a couple become a family, to give a baby boy or girl a forever home, simply by making a quick purchase. You can help change a family’s legacy for generations to come. The deadline to buy a shirt is Feb. 9. The deadline to enter my contest is Monday, Feb. 2 at 6:00 p.m. Central. Let’s bless this family! Y’all, I have a treat for you today – Mr. Right has written his very first guest post! I’m trying to talk him into doing a regular guest spot, so be sure to leave him lot’s of love in the comment section. Now you can see why I love him so much. Texas Lovely has been asking me for a while to guest write on her blog. I have to admit that when we first got married, I didn’t quite understand women’s blogging. The blogs that I read (uncrate.com, acontiuouslean.com, blog.imogeneandwillie.com, to name a few) talk about stuff. How it’s made. How cool it is. How much cooler I would be if I would just buy it. Who needs discussion of feelings? Who needs discussions about fears and failures? I just didn’t get it. Then I realized just how much my wife compares her life to other women. When things are really rocking along, she wants everyone to celebrate the wins in our life. When things are crawling along, she wants sympathy. The obligatory, “that stinks” answer and NOT just a “let me fix it” answer. It’s a chance to see into her life and say, I am normal. If life is great, I’m normal. If life is hard, I’m normal. A chance to see behind closed doors and church facades. A chance to not compare but to take joy in the phrase, when one part suffers we all suffer, when one part rejoices we all rejoice. When Bethe and I got married I asked her a simple question, “What is one thing that you want to do before you die?” It took her a while but she finally replied, “Write a book.” I want to see her live that out, and this blog is a huge part of that. Thanks for celebrating with our family. Thanks for laughing at us and crying with us. Thanks for helping me fuel my wife’s passions. Well, friends, please excuse me while I sop up some tears. I married such an incredible man! On a less sappy note… I’m happy to announce the winner of the $25 gift certificate to The Paisley Heart! Sarah – I’ll send you the info on how to redeem your gift card. In the meantime, my reader friends, I have good news – we had such a good response that Brooke has offered to do a SECOND give-away next week! This time it will be on my Texas Lovely Facebook page (facebook.com/texaslovelyshop) – go follow it so you can get all the details. 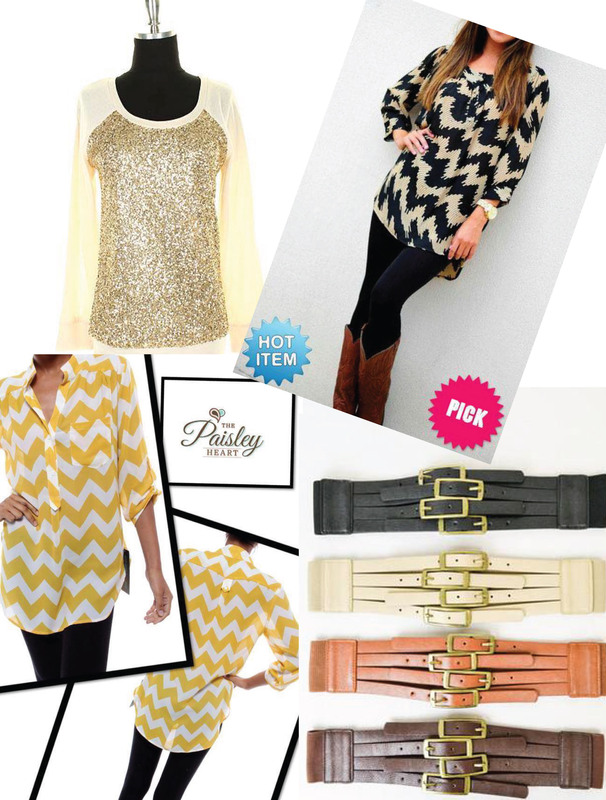 And, don’t forget to use your 10% discount code TexasLovely at thepaisleyheart.com. The Paisley Heart – Giveaway! So you can imagine my excitement when Brooke, a friend of mine from elementary school, opened The Paisley Heart, an online clothing boutique with clothes that are perfect for moms like me. I want to look cute and trendy, but I also have to be able to crawl around on the floor, I want to be comfortable, and frankly, I prefer anything I can wear with leggings. Brooke’s got some great items that fit my needs exactly! So far I’ve bought this dress for myself, which I wear with leggings and tall brown boots and my denim jacket. It’s perfect for fall, and I’ve used that brown belt on a few other dresses. Hey Brooke! Tell us about yourself. I’ve been married almost six years to my best friend and soul mate, Jon. I’m a mommy to two sweet little boys, Jude and Joel, who are 16 months apart and keep me very busy (and entertained). I recently left Corporate America and have shifted my focus to starting my own company, The Paisley Heart, in an effort to enjoy my days more “at work” and be more available and present for my family. Jon couldn’t be more supportive and we’re both confident God’s hand is on this… and it’s so exciting! 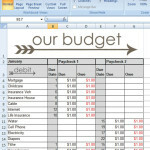 How are you balancing working at home with your family/kiddos? Trial and error. I learn something new every day. I can tell you my ideal day is: get up before kiddos do and work a little. Work some more while they nap and then probably work a little more before bed. That NEVER happens! I just have to roll with the day and work when I can. If I’m against a deadline, they will probably get to watch a Disney movie. If it’s a slower day, I’ll take them to do something fun like the zoo or a pumpkin patch. The play room is my friend! I do always make sure we have a lesson time where we focus on learning new things and play time where we go outdoors. Sometimes I’m replying to customers while holding a crying babe… you just do what you need to do and at the end of the day, it works out fine. I am on a waiting list for a Mother’s Day Out program at a nearby church that will help in giving me some dedicated time for running errands and The Paisley Heart. What fashion trends are big for this fall and winter? Tribal and chevron patterns are the front runners. Big heavy cardigans and dolman sleeved piko tops are trending. Infinity scarves and tall boots. Maxi dresses have carried into fall – they are coming in all styles (wrap, scoop neck, etc.) with three-quarters length and long sleeves. Chunky belts with shirt dresses. Skinny jeans are still a must and palazzo pants are a new trend that has taken off like crazy lately. 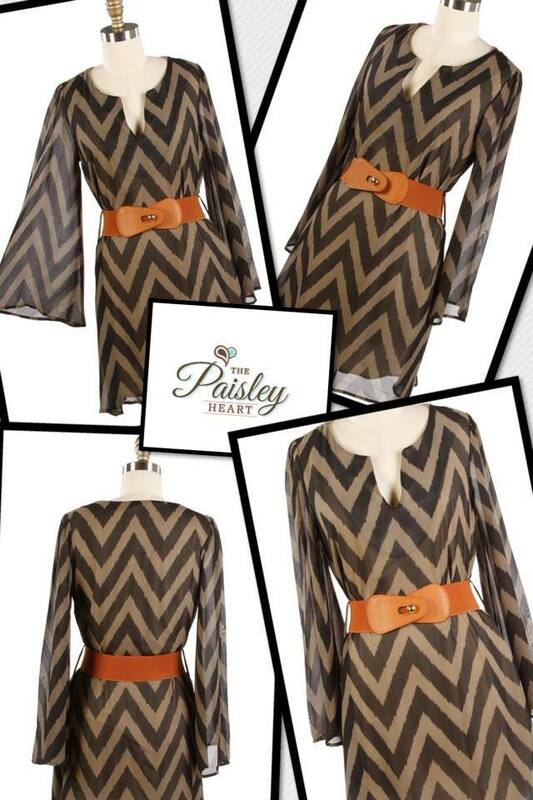 You can also find The Paisley Heart on Facebook – it’s a great way to stay on top of her new items as she gets them in. Brooke has offered a 10% discount to Texas Lovely readers – just use the discount code TexasLovely when you check out. And, one lucky reader will receive a $25 gift certificate to her shop. Just go visit The Paisley Heart and then leave me a comment below letting me know which item you’d buy with your gift certificate if you win. Contest closes Thursday night. Good luck! Thanks to everyone who entered my giveaway on Facebook! I’m a little slow in announcing the winner because of that little life-changing event that happened three weeks ago. In fact, I’m typing this one-handed while I hold a nursing baby in the other arm. Now I know why mothers are such great multi-taskers. For the record, I can also apply make-up, fold laundry, dress myself, make a strawberry pie, feed the dog and eat dinner while nursing. Be impressed, okay? 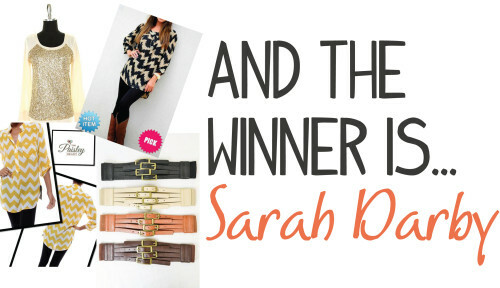 Congrats to Stacey Mensik for winning the necklace and bracelet! Email your address to bethe(at)texaslovely.com and I’ll drop your goodies in the mail. Thanks to everyone who entered! 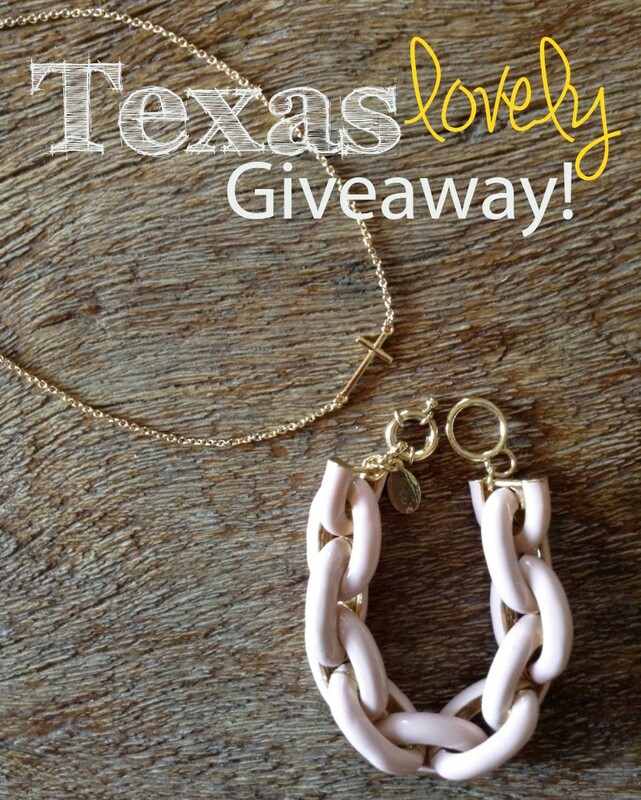 If you haven’t already, go “like” Texas Lovely on Facebook – I plan on hosting some more give-aways very soon. And to the 217 of you who have already liked the page? Well, you are my favorites! Also… for the contest I held last month to predict the date of Wrenn’s arrival, congrats to one of my best friends, Katie Beach, for being the only person to accurately predict July 10. Katie, go check out my shop and let me know which print you’d like to have. I recently purchased some jewelry from Ily Couture (Can you tell that jewelry has been my favorite pregnancy accessory? It always fits! ), and they sent me a few extra pieces to give away to YOU! I have both pieces and wear them constantly – the cross necklace can be worn very short/minimalist, and I love the chunkiness of the pink bracelet (I also have it in white and yellow). Since I just launched the Texas Lovely Facebook Page earlier this week, I thought I’d give them away over there. Head on over and enter to win! I’ll be announcing the winner next week – I seem to have this important appointment that’s going to take up much of my week/weekend… hmmm, what was it again? Interested in seeing what’s offered in my online shop? Go visit me on Etsy!